I’ve been trying to condense this post into one piece, but find it refuses to accommodate, so here’s part I of my critical investigation into this story. 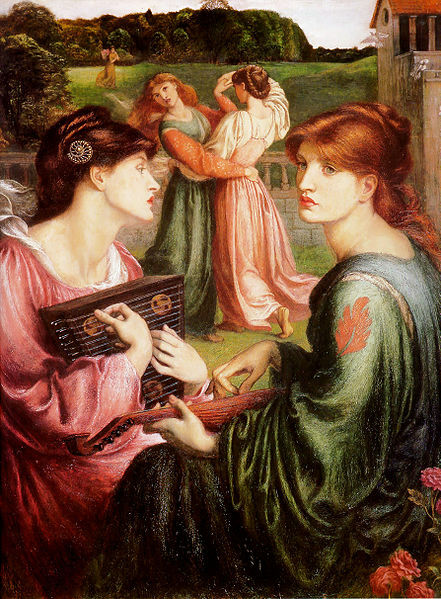 In my last post I wrote about Henry James’s 1884 story ‘The Author of Beltraffio’, where I described it as a ‘puzzling story’. I focused on the ironic significance of the names of the central characters. This time I intend looking more closely at the story’s themes, and at James’s literary technique. All quotations are from the Everyman’s Library edition cited previously. 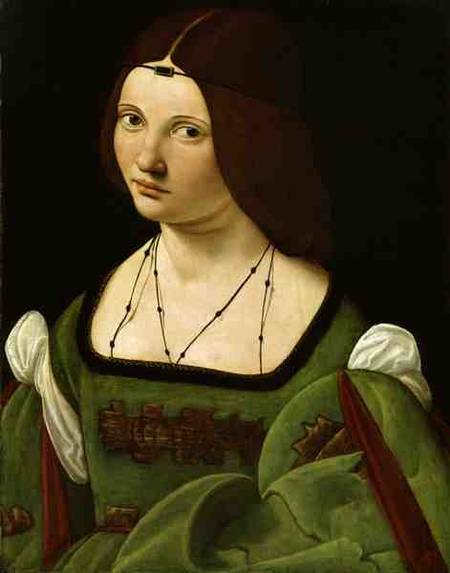 As we saw last time, the story tells of the ultimately deadly struggle between the decadent-aesthetic author of the scandalous novel Beltraffio and his ‘tremendously moral’ wife, Beatrice, over their cherubic young son Dolcino. Beatrice believes her husband has a ‘pernicious’ influence on the boy’s character and ‘principles’. ‘She thinks me immoral’, Ambient tells the narrator. Where does this hostility come from? We’ve already seen how venomous she is about her husband’s work and mind. And how come the story starts like a light country-house comedy and then takes a macabre turn? In order to answer these questions I think it’s useful to examine the narrative approach James takes in the story. James is famous for his use of ‘point of view’ in his fiction, and this is a phrase that appears repeatedly through the story (three times, for example, on the opening page) – and this clearly indicates the importance he attaches to it in the narrative. Our narrator is repeatedly described as ‘ingenuous’ in the time span of the story. He’s only 25, and a devout fan of Ambient’s. He’d read Beltraffio, which appeared three years before our story begins (when Ambient was 38), five times. He considered it a ‘fascinating work’ and a ‘masterpiece’. 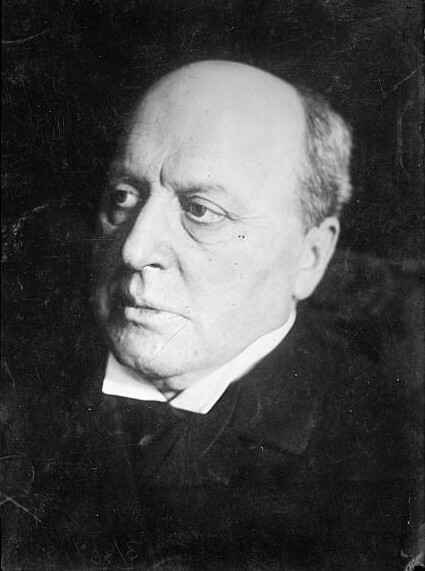 James is at pains, that is, to have his American narrator establish his younger self’s persona as naive and innocent – as so many of his protagonists are, in order to create stark contrasts with the often jaded, more mature (usually European) characters with whom they interact with usually abrasive consequences. 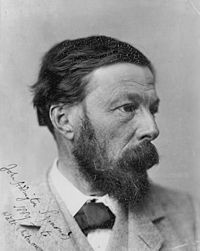 James also takes care from the start, however, to emphasise the contrast between this callow young man’s point of view and his more sober, rational self at the supposed time of writing the narrative in the ‘present’, ie about 1884. (Nevertheless, he admits that, looking back on it with his ‘riper judgement’, he admires Beltraffio as much now as he did then.) This is a technique found perhaps most famously in Dickens’ Great Expectations, narrated by a wiser, adult Pip musing on how little he understood in his youth, when the events of the story took place. Now he realises their true and full significance, whereas his unreliable, youthful point of view, from which he presents those events as they happened, shows him misreading them and disastrously misinterpreting them. 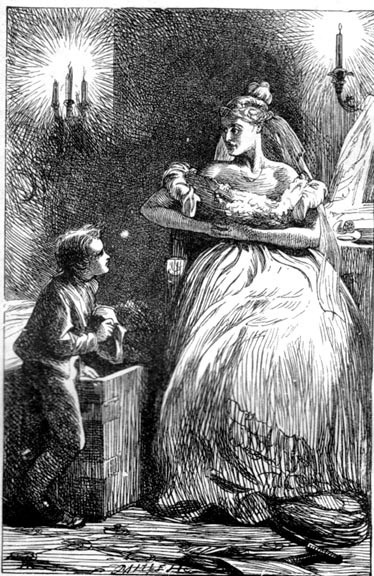 This in turn enables Dickens to lure the reader into sharing young Pip’s unreliable version, so that Miss Havisham is seen by him as his Fairy Godmother, Estella the Princess to whom he deludedly believes he’s destined to be married, and Magwitch as the Ogre; he later learns, as we do, that these characters were polar opposites to this view, and it’s the painful learning of this lesson that’s at the heart of the novel. The narrator felt ‘very happy and rosy, in fact quite transported, when he laid his hand on my shoulder’, and describes Ambient as ‘a delightful creature’. His appearance is ‘Bohemian’ – he favours ‘velvet jackets’, ‘loose shirt-collars’, and is ‘looking a little dishevelled’. Arrived at the author’s cottage the narrator describes the pastoral scene, as we have previously seen, in similarly gushing terms: it looks like a copy of ‘a masterpiece of one of the pre-Raphaelites’. 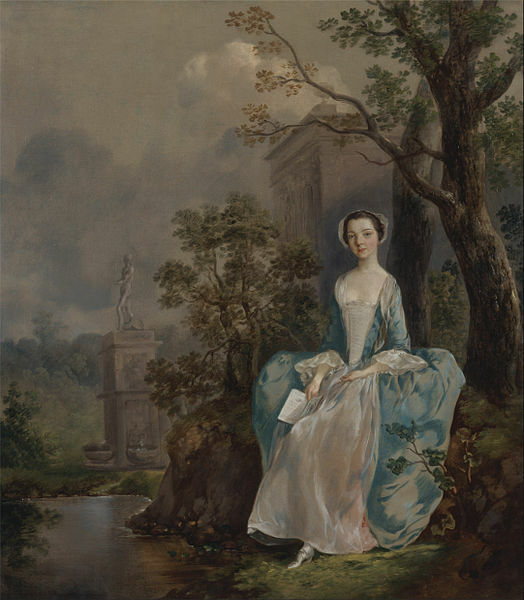 Last time I pointed out how Ambient’s sister Gwendolen is likened to a portrait by Rossetti, while Beatrice was a Gainsborough or a Lawrence. James uses the contrasting styles and philosophies of these schools of artists to make his characters’ nature clear: the avant-garde and aesthetic versus the traditional and conventional. I remember looking for the signs of genius in the very form of his questions – and thinking I found it. The house was, ‘to my vision, a cottage glorified and translated; it was a palace of art.’ When they first saw Beatrice and Dolcino in the garden, Ambient remarked that ‘she has got the boy’, in a tone the narrator had not heard before. I was not fully aware of it at the time, but it lingered in my ear and I afterwards understood it. This dual chronology places us, therefore, in the midst of action as it happens, but as with Pip’s narration, the American declines to present to us a fully mature and clear interpretation of the significance of what is unfolding as he narrates. Like the extracts just quoted, they tend to hint at something else, but the narrator never fully discloses what really happens. This is where the plot darkens, and the light comedy fades out. The plot proceeds to show how the fierce struggle for possession of the little boy’s heart and soul between his morally contrasting parents culminates tragically. It was the point of view of the artist to whom every manifestation of human energy was a thrilling spectacle, and who felt for ever the desire to revolve his experience of life into a literary form. 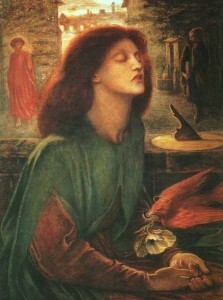 On this matter of the passion for form – the attempt at perfection, the quest for which was to his mind the real search for the holy grail, he said the most interesting, the most inspiring things. The callow American listens ‘open-mouthed’ and ‘astonished’, his ‘youthful mind’ marvelling at Ambient’s artistry, which also startles him and makes him wince. What is it that is so shocking about Ambient’s aesthetics? This is a conundrum at the heart of the story, and one which I shall return to in my next post.